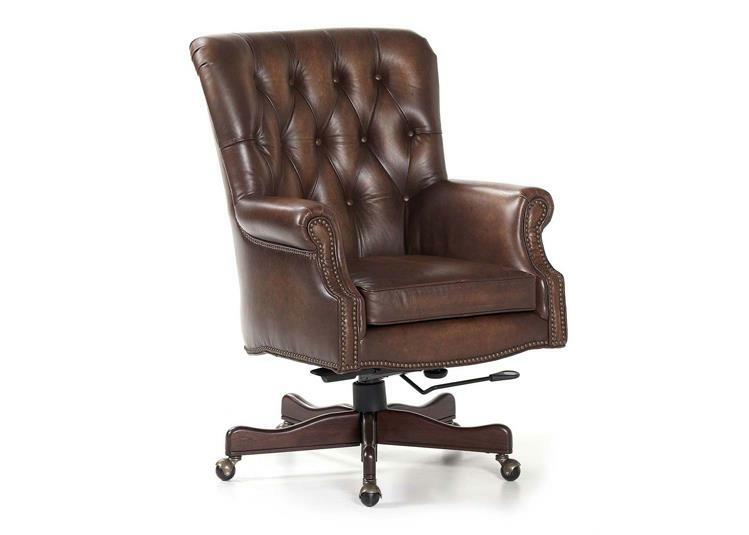 Description: High end executive chair with tuffted leather. Chair can swivel, tilt and roll on its casters mounted to its wooden base frame. The trim on this office chair is done with brass nail heads showing the quality of the craftsmanship. Use as an office chair at your executive desk or as sturdy conference room chairs.